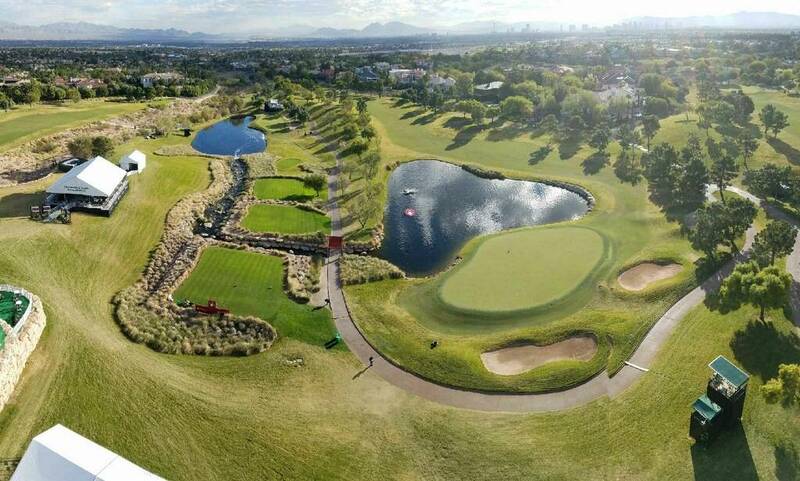 John Boeddeker is not above saying he has the best view of PGA Tour events such as the Shriners Hospitals for Children Open at TPC Summerlin. In his case, that might prove difficult. 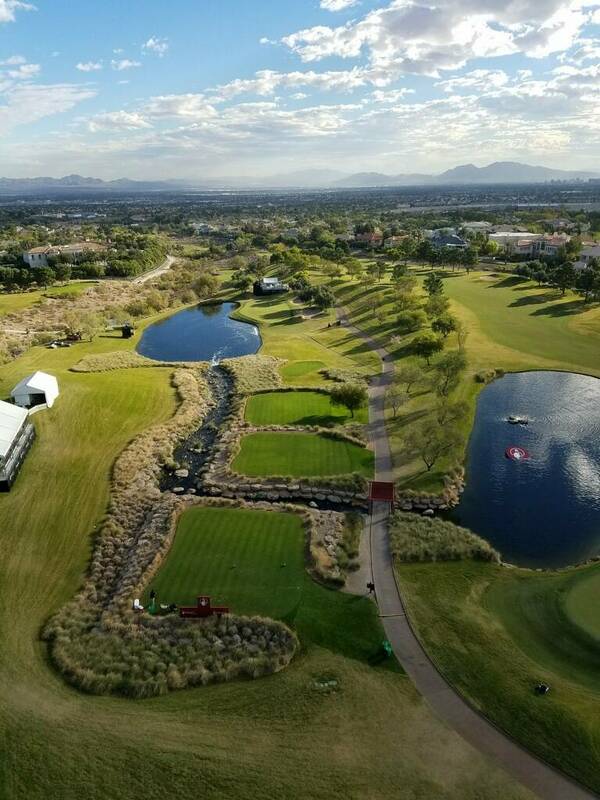 John Boeddeker is not above saying he has the best view of PGA Tour events such as the Shriners Hospitals for Children Open at TPC Summerlin. In his case, that might prove difficult. A few years ago, Boeddeker starting snapping cellphone photos of the spectacular panoramas and vistas he sees from the little basket atop the crane. 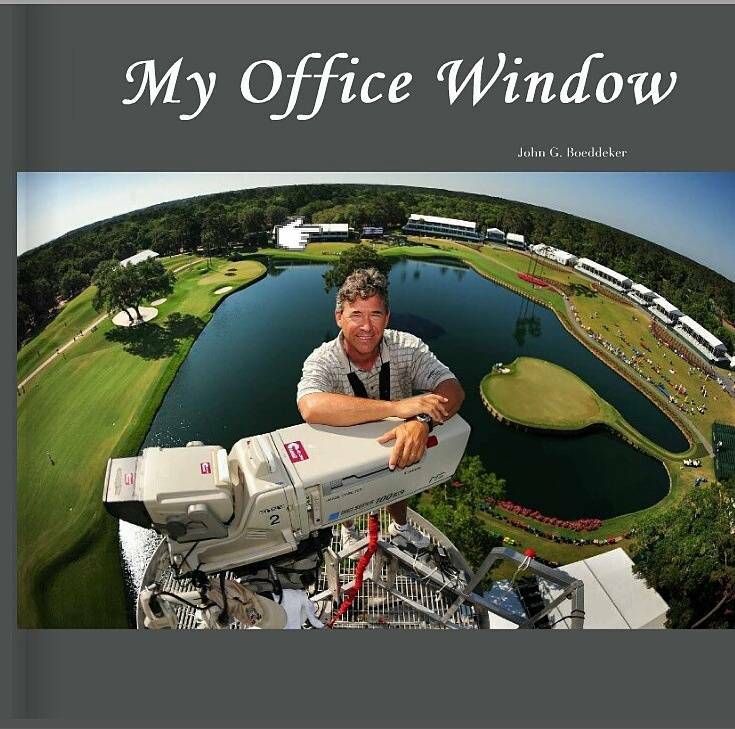 He has put them into a coffee table book licensed by the PGA Tour called: “My Office Window” (www.myofficewindow.org). “If I had to pick one, Pebble Beach,” he says of his favorite view from above. “The panorama of the 18th fairway looking out at the bay, that’s just striking. Until it gets cold. 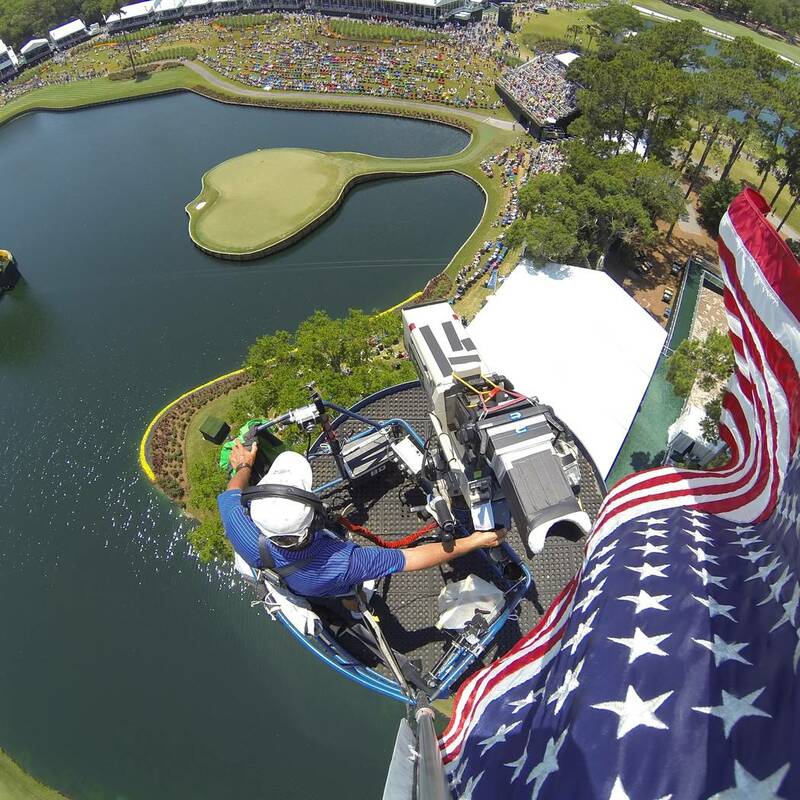 As for the greatest golf moment witnessed from on high, he puts Tiger Woods’ “Better than most” putt at the 2001 Players Championship at the top of the list. The scariest? Also at Sawgrass, when 50 mph gusts made the massive crane shimmy and shake, or so it seemed to Boeddeker. Boeddeker, who alternates getting high (in a manner of speaking) with a few other Golf Channel cameramen, has a shock of salt-and-pepper hair, a smile wider than the No. 18 fairway at Harbour Town and the constitution of a camel. “No. 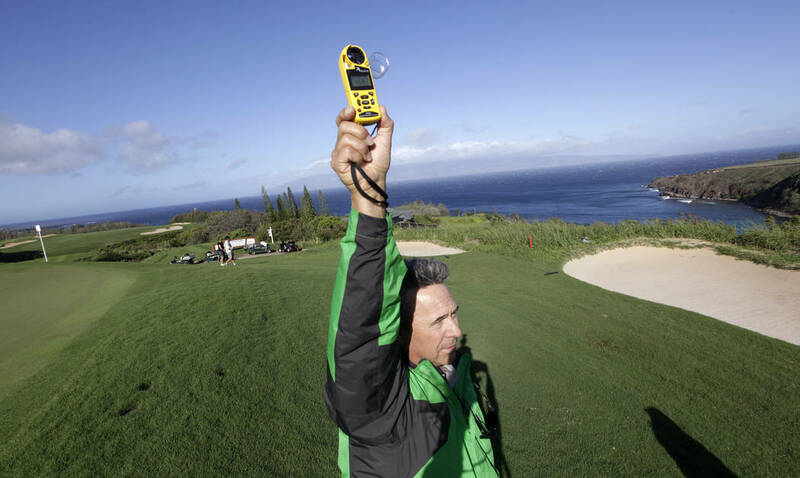 1 question I get asked,” he said about having to go to the bathroom while suspended 120 feet over a golf course. Who knew there would be synergy between the Shriners Open and the Major Series of Putting going on concurrently behind Planet Hollywood Resort? Redford Bobbitt, a former UNLV golfer whose surname is begging for a Roman numeral, finished first under the monorail tracks in a classification called Turbo Singles No. 2. This weekend he’s at TPC Summerlin, caddying for fellow Las Vegas resident Alex Cejka, among the Shriners’ early leaders. “If Alex wins on Sunday, maybe I’ll buy myself a fake Rolex,” Bobbitt said. Whereas the golf guide lists interesting tidbits about Robert Garrigus — his favorite college team is the Oregon Ducks, and he uses a putter that is only 28 inches long — it mentions nothing of the substance abuse issues he overcame en route to starting the third round of the Shriners Open at TPC Summerlin near top of the leaderboard. After winning his one and only PGA Tour title at the 2010 Children’s Miracle Network Classic in Florida, the 39-year-old from Idaho admitted to having smoked marijuana while playing the minitours. Sometimes even during his round. Garrigus has been hitting ’em straight for several years. Not only has addressing his addictions aided his game and focus, it also has enhanced his personal life. He met his wife, Ami, while in rehab.